The wind softly tickled our cold cheeks as we strapped snowshoes to our feet and headed out on our much anticipated winter adventure. Brother Jason, sister-in-law Kelly and myself had been planning this winter day trip for a few months. I live in the north and invited these two flat-landers from the big city to join me on a rustic trek. 8 kilometers through forest, lakes and train tracks in search of some snow magic. All dressed, lunches packed, price tags taken off the new snow shoes, off we went. It did not take long for the fun to begin. Carving faces in the snow drifts, climbing fallen trees, taking breaks for drinks of water and listening to the birds. Soon the sweat started to challenge our layers of clothing, zippers got pulled down, and breathing was heavier, bellies getting hungry. The snow started to trickle down as the wind swirled gently around us. The day was giving us just enough of everything we needed. After traveling five kilometers from the hilltop to the lake side, we found a log, some birch bark and invited a roaring fire to warm us. Lunch was served; bread, cheese, popcorn over the warm coals, smoked salmon, a little glass of red wine and a little bit of nori to top it all off. Eating like royals, laughing like enlightened clowns, we burned a few holes in our gloves stoking the fire. We took time to be together, without technology, surrounded by nature and its awesome layers of beauty. As I sat near the fire I was reminded about how much power is bestowed upon me when I am in nature with other people. I have taken time with Jason and Kelly many times, but in nature we are not distracted, we are alive and present and it feels like our souls are comfortably exposed to each other. Our bellies full and the temperature starting to drop as the wind picked up, we decided it was time to trek the rest of the way home. We broke the soft cover of the forest into the exposed, naked forces of the lake. Crossing the lake we risked leaving the shelter of the forest. We risked falling into the cold water that would consume us in a frozen minute. The wind attacking our faces, the snow thicker at our feet, we pushed on to an island half way across the lake. Risking leaving the comforts of shelter offers us a chance to be brave, to push past our limitations and fears and allow our inner strength the chance to remind us of how powerful we really are. Walking up the side of the island I could feel the shelter of the trees break the incessant wind. Kelly and Jason following quickly behind me. Taking time in the shelter to warm ourselves for the next crossing, Jason and I started to chant. Our voices getting lower, our breathing getting rhythmic, our bodies getting closer. We hugged and chanted and sang and brought our energies up. Sharing with him in this way gave me the strength to cross a million wind-frosted lakes. Out again we went, battling the forces of nature with our songs, our dancing and some silliness. We headed for the train tracks we could barely make out through the sideways blowing snow. My singing turned to mumbling as my checks frozen from smiling so widely in the cold. We reached the shore side with only a steep climb up to the rocky train tracks to the final stretch of our journey. Having climbed our way to the top we all looked ahead to the bridge that lay before us: The Bridge of Forgiveness. This is a bridge made of rusting metal, crumbling rail ties and high aspirations. When crossing it, the bridge invites one to forgive for good. It was a sacred bridge I had crossed before. I knew it as a bridge that would take my pain, my attachment to some owing, some wrongdoing and empower me to forgive. After a brief sharing about this bridge I invited Jason, Kelly to look it in our hearts to forgive someone as we crossed over the bridge. No longer would that person be “owing” us anything. They are completely absolved from any wrong doing in our past. We were choosing to free ourselves from the pain and suffering that we had been holding onto, to be let go of and dissolved as we crossed the bridge. We freed ourselves to return home a little bit lighter, a little bit brighter. We fell to the floor of the warm house upon arrival with a little bit more room for our hearts to beat. We earned that bridge crossing. We faced the harshness of winter with laughter, pictures and brilliance. We did it together. Just us, the wind and the setting sun on those tracks. 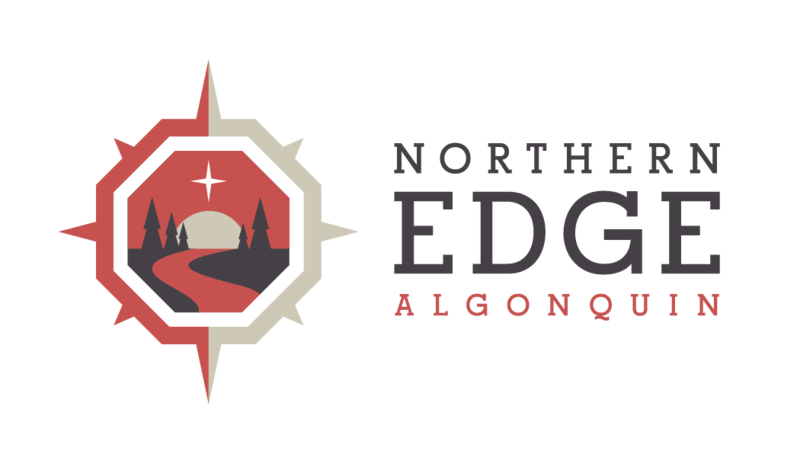 After this adventure had sunk in I had a talk with my wife, Gwenith, about her weekend at Northern Edge with the “Soul Pathways of Shamanism Program“. Apparently the group had been working on forgiveness that day as well, by the guidance of a Hawaiian philosophy called Hoʻoponopono, a practice of reconciliation and forgiveness, which states the healing prayer, “I’m sorry. Please forgive me. I love you. I thank you.” The similarities in our journey and the work that the brave travellers at the Edge went through were fascinating but not surprising. I have found since I journeyed with the peaceful hearts circle, way of the circle, the CCSS collective circle, that every time a group gathers at the Edge with the intention of healing within, I mirror their work in my own life. I am not sure if it is my work that influences what is happening at the edge or if it is the edges work that influences me. Maybe there is no difference. Once we choose to be part of a circle, are we always interconnected? Does all healing work we do helps the rest of the circle in their healing? My heart says, “I heal as you heal, and you heal me as you heal you”. The universe holds many mysteries and I am eternally grateful for all it teaches me and helps me to remember. I know that I am not alone in my healing even if others do not surround me. I know that the work being done all around me is continuing to help me heal even if I am not there to participate in person. I know that I am helping the people at the edge heal by healing myself in my own ways. The winter adventure was nothing short of epic. We were part of a bigger story that we were not immediately aware of. The more I journey into this world, the more I realize three things. 1. We are not separate from each other. We walk together, and more often then we are aware of. 3. I love my family. Blood family, Edge Family, Earth Family, Universal Family, I love you all. Either alone or with others, find a space in nature. A place that is safe but adventurous. Enter that space while saying to yourself “I am sorry. Please forgive me. I Love You. I Thank You”. Say this over and over again, in your head, in your heart, out loud. Write it on the ground with a stick, sing it, Rest with these words and allow yourself to go wherever they go.